Mide 21 x 16 cms. CONDICIONES PARA INGRESAR VOLUNTARIO. COMPAÑIA REGIONAL DE AUTOMOVILISMO 3ª REGION MILITAR VALENCIA. 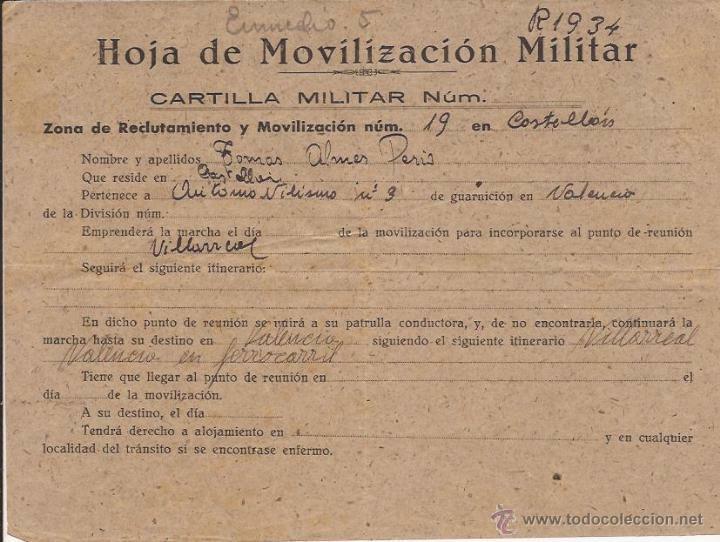 1 CARTILLA MILITAR AGRUPACIÓN SANIDAD Nº 3 VALENCIA 1950 Y 1 HOJA MIVILIZACIÓN MILITAR. Hora oficial TC: 02:37:27 TR: 98 ms.